Bed bugs secrete an unpleasant-smelling oily substance from two glands on their underside. You may be able to tell that you have them when you spot tiny orange or brown dots on your mattress or box springs. These parasites are most common in temperate regions. They are mostly nocturnal, feeding only at night. During the day, they hide in crevices of furniture and bedding. You may find evidence of molting when you move a mattress or bedside table. This waste looks like tiny black or brown pieces of dirt. 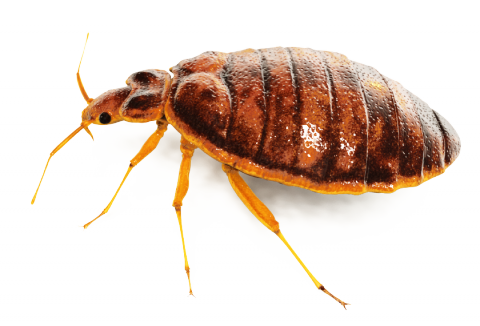 Bed bugs feed on humans and other warm blooded animals. They can live for a year without feeding, so “starving” them out may not be possible. Maturity, from egg to adult, takes about two months in warm climates. 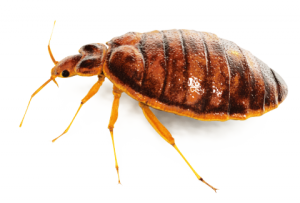 One year can produce three or four generations of bed bugs. Bed bugs cause physical pain, itchy red welts, and are a source of emotional, physical and psychological distress for anyone dealing with them. Untreated bed bug populations grow exponentially every day, making them increasingly hard to manage. HITMAN Pest Control uses an integrated approach that includes the newest products that are proven to manage bed bugs, as well as steam treatments, which kill all bed bug life stages, in areas where our products cannot be applied. Bed bugs were once thought to be eradicated from the United States, but they are reportedly back with a vengeance. Florida in particular has been hard hit. Bed bugs have become resistant to the synthetic pyrethroid insecticides used by pest control companies for many years, and now must be controlled by different more advanced methods. How Does HITMAN Handle Bed Bugs? • Stopping the spread of bed bugs to unaffected areas of your home. Just call the HITMAN for your free, in-depth bed bug inspection today.